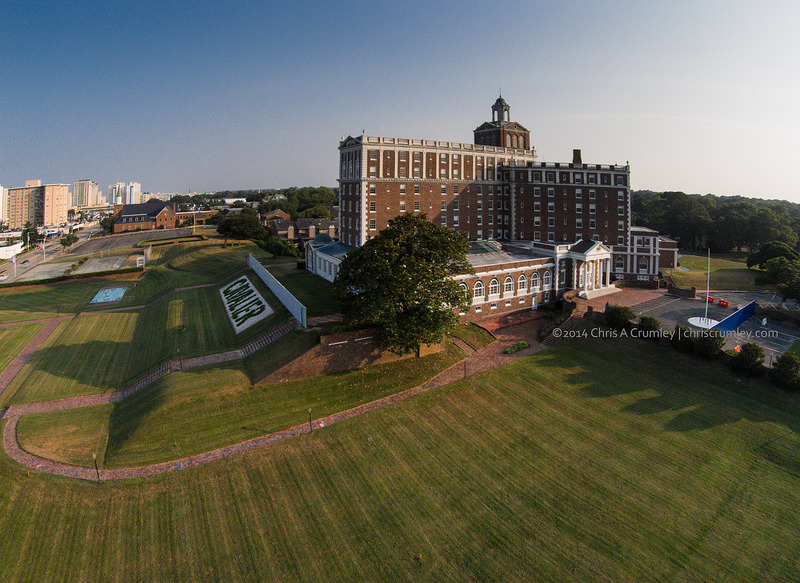 Old Cavalier Hotel on the hill, Virginia Beach; June 17, 2014. Wondering what the white wall is just behind "CAVALIER". Driveway to the front entrance now blocked with a blue wall. Drone image from about 100' late afternoon.